Revenues for One App Developer for First Day of iAds? $1,372. Huge. This is from a utility app on the iPhone 4 with Apple’s new mobile ad network, iAD, integrated. The developer posted details of his earnings onto Hacker News and I’m sure Apple will enjoy a little positive press because the returns are outstanding. Compare these to the earnings from a random Android app with Ad-Mob integration and the figures should speak for themselves. Click Through Rates are around five times higher and iAd’s eCPM (Effective cost-per-thousand impressions) – which is calculated by dividing total earnings by total number of impressions in thousands – is off the charts in comparison to one developers Ad-Mob’s results above. 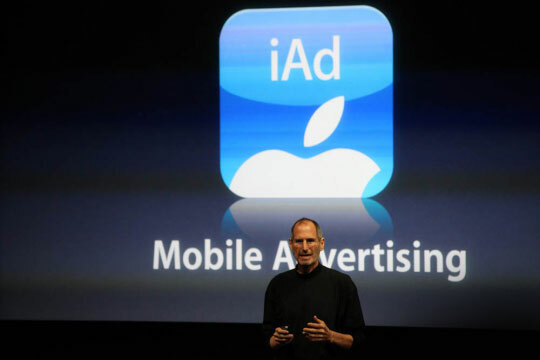 According to Apple CEO Steve Jobs, iAd sales are already at $60 million–developers will earn 60 percent of all iAd revenues, translating to pre-launch earnings of $36 million. Brands including Nissan, Citi, Unilever, AT&T, Sears, Target, JC Penney and Best Buy have so far signed on.